Three story townhouse (one half of a two family home) for rent January - May 2018. Can be rented for weekly or monthly stays. Ideal for visiting fellow at Yale or another local university or for family members visiting students. It is a traditional, three story home (built 1920) located just a two minute walk from the beach and the Yale Corinthian Sailing Club. 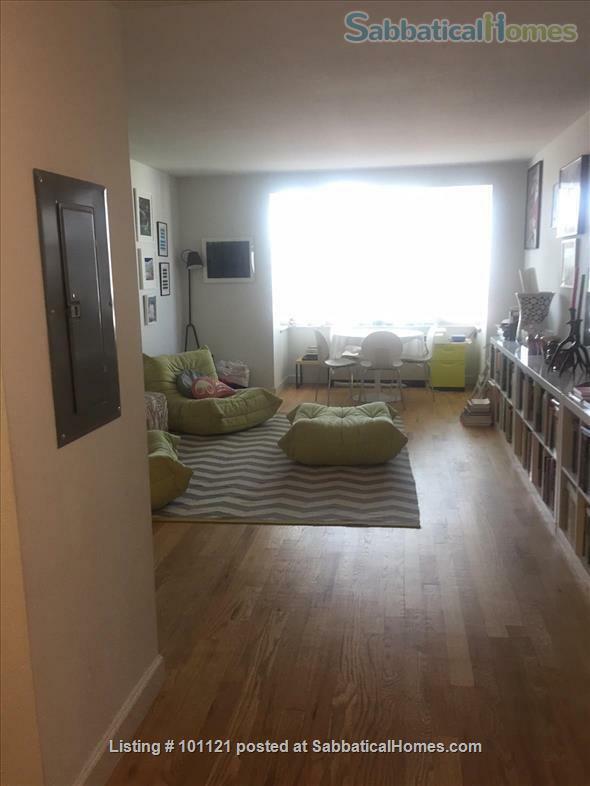 The home is completely furnished with all modern conveniences: dishwasher and microwaver, blender, juicers; washer/dryer, ACs and fans on every floor. There are two bedrooms and one large bathroom. The bedroom on the third floor is ca 500 square feet and can sleep four comfortably with extra inflatable mattress. Parking directly outside front door for 2 vehicles. Dates can be extended by pre-arranged agreement. I am a an academic, specializing in contemporary art history, theory and curating. I founded an MA program in NY after living in London for over a decade. I travel a lot and have friends all over the world. I am a CT native and divide my time between here, NY and Europe.